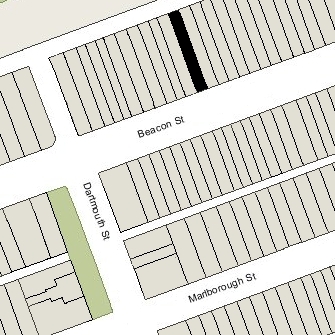 212 Beacon is located on the north side of Beacon, between Clarendon and Dartmouth, with 210 Beacon to the east and 214 Beacon to the west. 212 Beacon was designed by architect John Hubbard Sturgis and built for him in 1863. 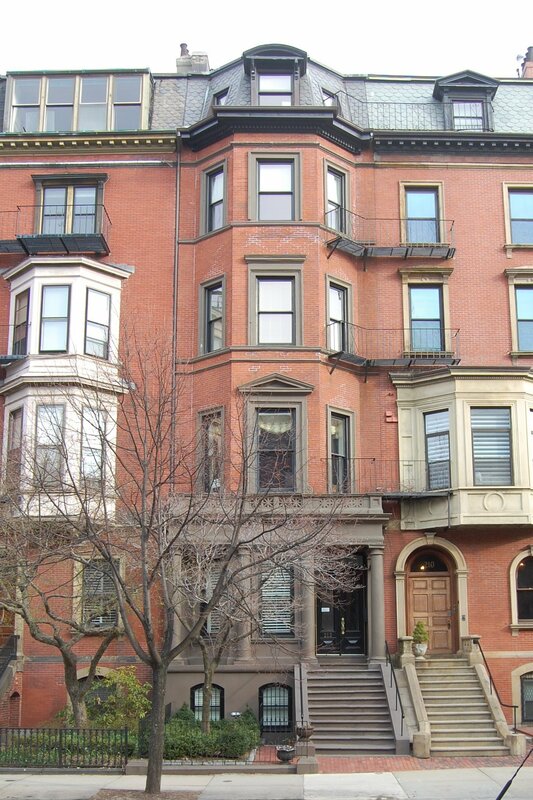 He and his wife, Frances Anne (Codman) Sturgis, lived at 133 Beacon. John Sturgis purchased the land for 212 Beacon on June 13, 1863, from Edward S. Rand, trustee of a trust for the benefit of Martha Sylvester (Thorndike) Parker established in October of 1851 at the time of her marriage to banker Richard Tucker Parker. Richard and Martha Parker lived at 198 Beacon. Richard Parker had transferred the property to the trust on March 2, 1863, having purchased it on January 24, 1863, from attorney William Dehon. It was the eastern 20 feet of a parcel with a 100 foot frontage purchased by William Dehon on June 13, 1862, from the Boston and Roxbury Mill Corporation. When William Dehon sold the lot to Richard Parker, he included language in the deed specifying that the height and depth of any house built at 212 Beacon was to conform with the house at 214 Beacon, and the height of any stable built at the rear of 212 Beacon was to be no more than thirteen feet. Click here for an index to the deeds for 212 Beacon. When John Sturgis purchased the land, it was described in the deed as a “lot of land with the building partly erected thereon.” John Sturgis probably acquired the property in mid-construction in order to resolve disputes with the owners of 210 Beacon and 214 Beacon, both of which had recently been completed. He alleged that the walls of both houses improperly encroached on his land, and the owners the two houses on either side questioned his proposed design for 212 Beacon, the front of which extended beyond the fronts of their houses. On September 3, 1863, he entered into an agreement with Nathaniel D. Hubbard, the owner of 210 Beacon, and John S. Barstow, the owner of 214 Beacon, under which it was agreed that the party walls could remain as built and he could construct the front façade as he proposed. 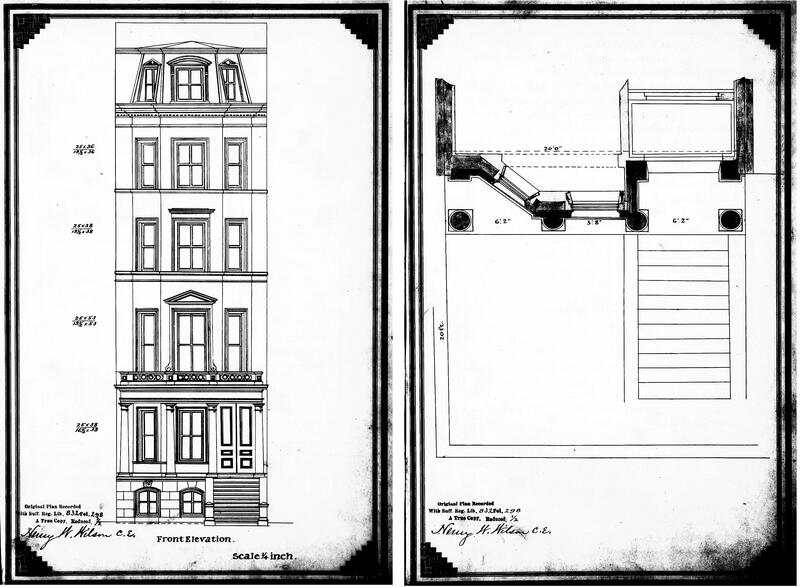 A drawing of the elevation and the plan for the stairs and bay was recorded with agreement. (Rodman) Robeson, the wife (and first cousin) of William Rodman Robeson. They previously had lived in Jamaica Plain. They also maintained a home in Lenox. William Robeson was a cotton manufacturer. He died in November of 1892. Anna Robeson continued to live at 212 Beacon until her death in December of 1895. On April 1, 1896, 212 Beacon was purchased from Anna Robeson’s estate by Dr. John George Blake. He and his wife, Mary Elizabeth (McGrath) Blake, made it their home. He was a physician and also maintained his medical offices at 212 Beacon. Mary Elizabeth Blake was an author. They previously had lived (and he had maintained his office) at 1330 Washington. Living with the Blakes were their six children: John Bapst Blake, Frederick Blake, Charles Arthur Blake, Marie Edith Blake, Robert Fulton Blake, and Gerald Blake. John Bapst Blake, a physician, married in October of 1899 to Anne Hastings and they moved to 302 Beacon. He continued to maintain his medical office with his father at 212 Beacon until about 1904. Frederick Blake married in December of 1899 to Annie M. Adams and moved to Pawtucket, Rhode Island. Mary Blake died in February of 1907. John G. Blake continued to live at 212 Beacon with his unmarried children. By 1910, he was also rejoined by Frederick Blake, who had divorced. He was an insurance broker. Charles Arthur Blake, also an insurance broker, married in September of 1910 to Leslie Appleton Knowles and they moved to Dedham. Gerald Blake, a physician in practice with his father, also married in September of 1910, to Edna Frances Malone, and they moved to 1236 Beacon. He continued to maintain his medical practice with his father at 212 Beacon. John G. Blake continued to live (and maintain his medical practice) at 212 Beacon until his death in March of 1918. 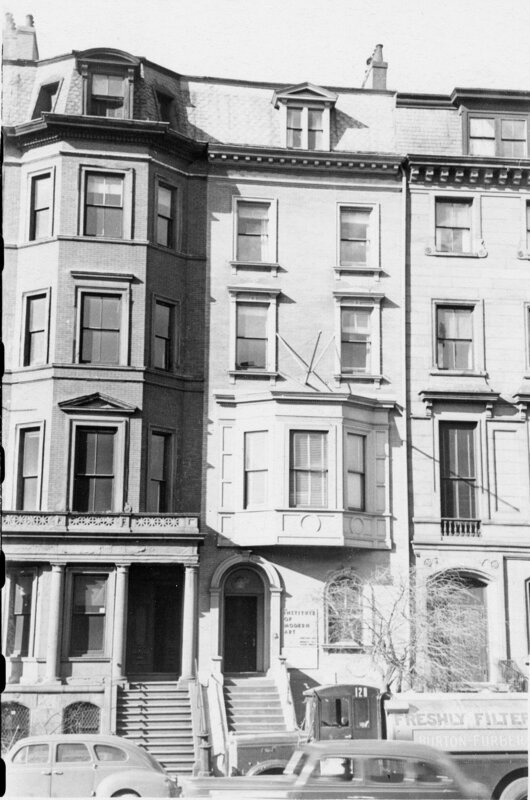 By 1920, Robert, Frederick, and Marie Blake had moved to 647 Boylston, and Gerald Blake had moved his medical offices to the same address (he and his wife, Frances, lived in Brookline). In 1920, 212 Beacon was the home of banker and broker Laurence Paine Dodge and his wife Anne Woodwell (Thurlow) Dodge. They also maintained a home in Newburyport. In June of 1920, they purchased and subsequently moved to 208 Beacon. 212 Beacon was not listed in the 1921 and 1922 Blue Books. 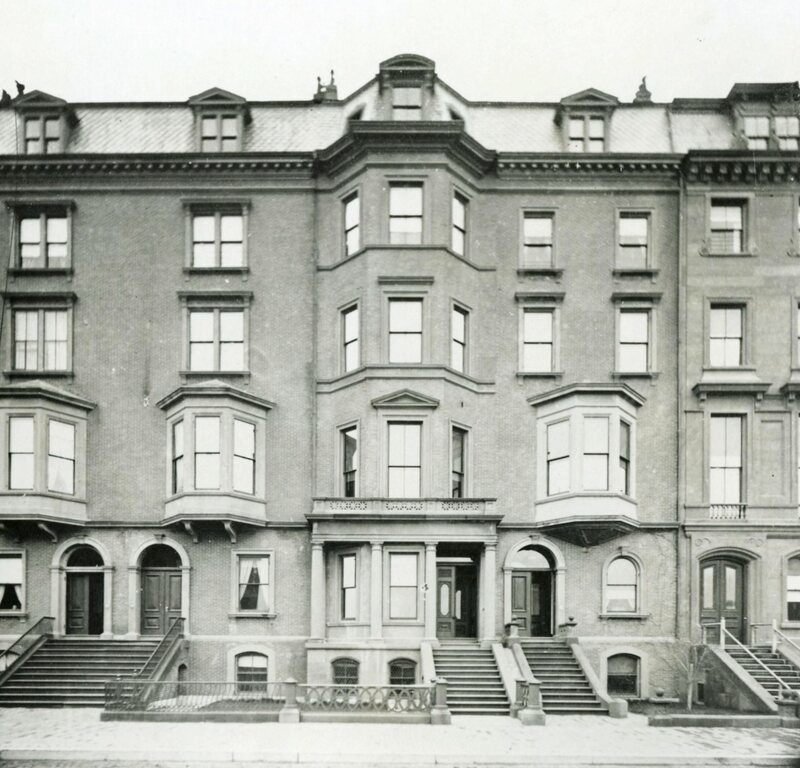 By 1923, 212 Beacon was once again the home of Frederick, Robert, and Marie Blake. They had lived in an apartment at 497 Beacon in 1922. By this time, Frederick and Robert Blake had formed the Back Bay Patrol and Emergency Service, with Robert as the president and Frederick as the treasurer. Frederick Blake died in April of 1937. Robert Blake and Marie Blake continued to live at 212 Beacon in 1940. They also maintained a home at Green Hill in Nantasket. By 1939, their brother, Gerald, had moved his medical offices back to 212 Beacon (he most recently had maintained them at 311 Beacon). Gerald and Frances Blake continued to live in Brookline. He maintained his office at 212 Beacon until his death in July of 1941. 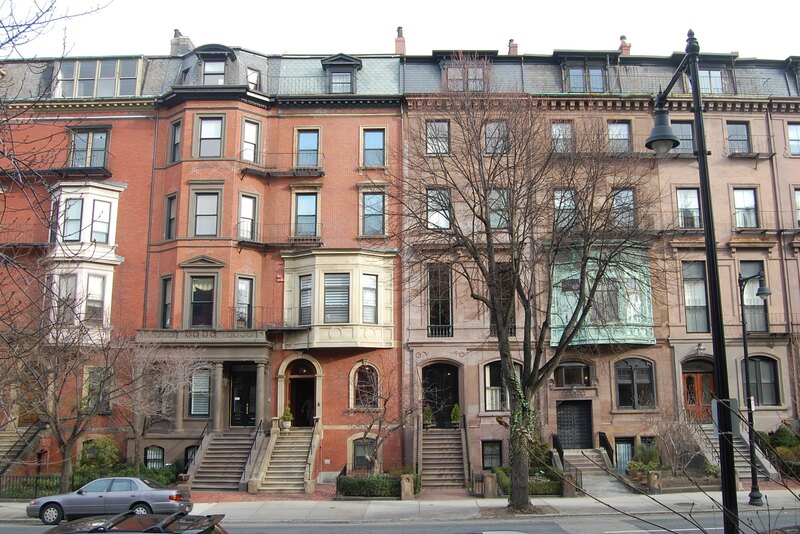 Marie Blake moved by 1941, and Robert Blake moved to 168 Newbury by 1942. On January 8,1942, E. Sohier Welch and James Jackson foreclosed on a mortgage given by John G. Blake when he bought the house in 1896. After changing hands, on August 7, 1942, 212 Beacon was acquired by Hazel E. Maclary, trustee of the Small Realty Trust. Richard David Maclary and Hazel Emmons (Berry) Maclary lived in the Wollaston district of Quincy. He was a real estate dealer. That same month, the Small Realty Trust applied for (and subsequently received) permission to convert the property from a single-family dwelling into a lodging house. The 1944 List of Residents includes 21 lodgers at 212 Beacon. On April 20, 1945, 212 Beacon was purchased from Hazel Maclary by Edward Vincent Atwood and his wife, Margaret Lestina (Gluck) Atwood. They lived at 212 Beacon and continued to operate it as a lodging house. They previously had lived at 29 Marlborough. On February 1, 1945, they transferred the property into Margaret Atwood’s name. Edward Atwood died in September of 1946. In 1947, Margaret Atwood married again, to Arthur (Asher/Uscher) Fellig, a New York photojournalist known as “Weegee” noted for capturing the “grit and glamour” of Manhattan. That same year, they moved to Hollywood, where he became a film-maker. They divorced in 1950 and he returned to New York City soon thereafter (she died in San Bernardino, California, in September of 1989). On May 31, 1947, 212 Beacon was purchased from Margaret Fellig by Edna Mae (Reynolds) Candage Lovejoy Walsh Grant. She was the former wife of Henry (Harry) Wells Candage, the widow of Everett John Lovejoy and Dr. William Martin Walsh, and the former wife of Wallace Edwin Grant. She lived at 35 Moreland and the next year would move to 470 Beacon, where she operated a lodging house. On October 30, 1950, 212 Beacon was acquired from Edna Grant by Carolyn E. Roberts and Catherine R. Edson of New Preston Connecticut. It remained a lodging house. On July 9, 1953, 212 Beacon was acquired from Carolyn Roberts and Catherine Edson by John Edward Hicks, an engineer. He and his wife, Anna Louise (Day) Hicks, lived in South Boston. In July of 1962, he applied for (and subsequently received) permission to convert the property from a lodging house into a dormitory to be leased to Burdett College. On March 6, 1968, John Hicks transferred 212 Beacon to his wife as trustee of the J & W Trust. He died in May of 1968. Louise Day Hicks had been elected to the Boston School Committee in 1961 and was an outspoken opponent of using busing to integrate Boston’s schools. In 1967, she was an unsuccessful candidate for Mayor, but in 1969 was elected to the City Council. In 1970, she was elected to the US Congress, but was defeated for re-election in 1972. She was reelected to the City Council in 1973 and 1975, but then lost two successive bids in 1977 and 1981. In March of 1973, she filed for (and subsequently received) permission to convert 212 Beacon from a dormitory to eleven apartments. The property remained in the Hicks family until January 8, 2005, when it was acquired by the Stonegate 212 Beacon LLC. In November of 2005, it filed for (and subsequently received) permission to reduce the number of units from eleven to three. 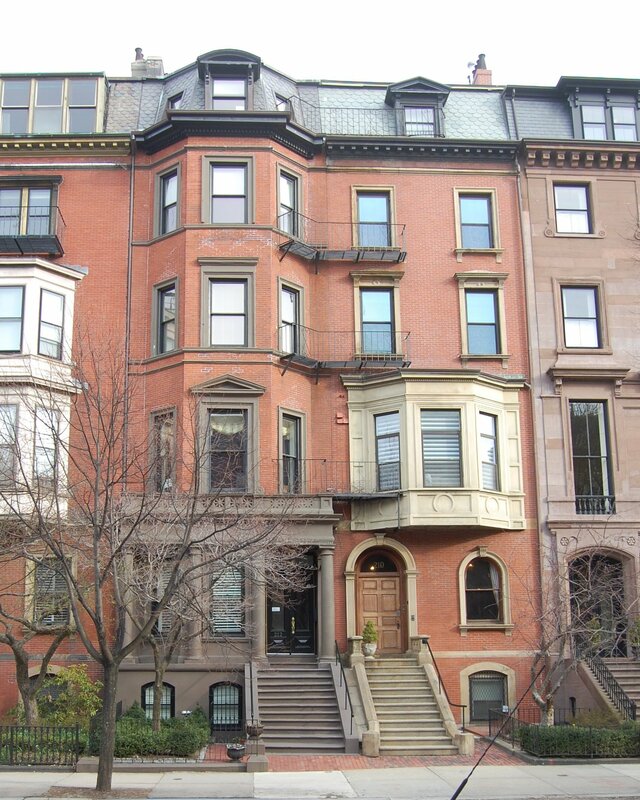 On April 12, 2007, Stonegate 212 Beacon LLC converted the property into three condominium units, the 212 Beacon Street Condominium.